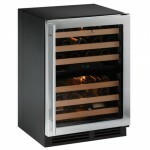 U-Line Echelon Wine Cooler Stainless (P/N 2275ZWCS-00). This Wine Captain offers storage capacity for up to 43 wine bottles. Gently-curved maple-trimmed sliding shelves can be stained to match surrounding decor, and provide full-extension access for maximum ease and convenience. 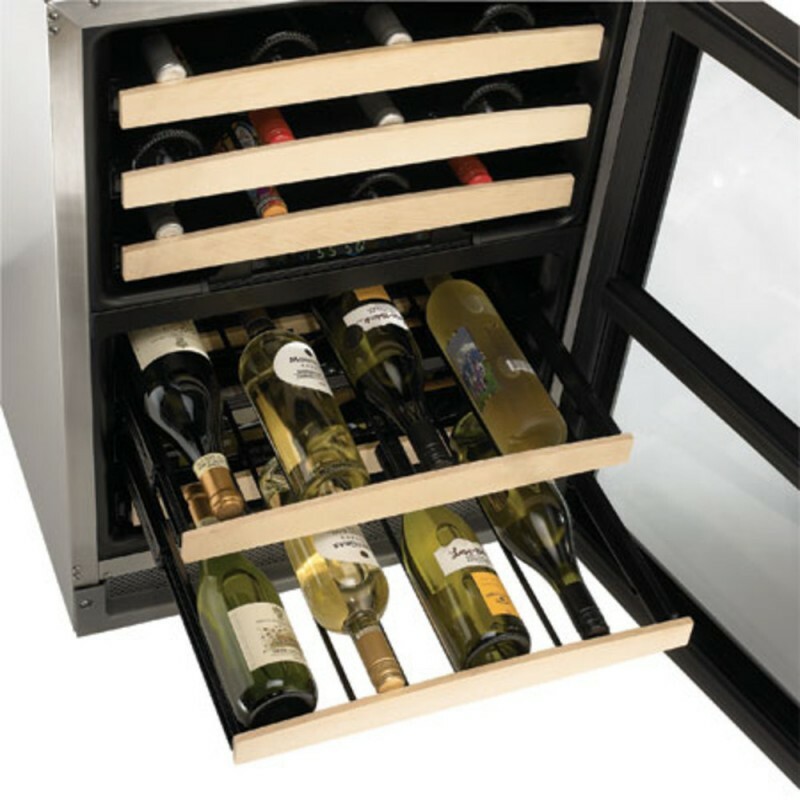 A wine caddy in the bottom drawer holds 3 bottles, is accessible from either side and allows for convenient transportation of wine. Optimal serving temperatures for red, white and sparkling wines are consistently maintained with Touch Control Digital Technology, making it easy to set and view internal temperatures. Can be used in built-in or freestanding applications. Options include choice of finish, door pulls (stainless finish only) and hinge side. U-Line's Dual Zone Technology allows temperatures to be set anywhere between 34°F-60°F, or select the ideal temperature for red wine, white wine, sparkling wine or other beverages. 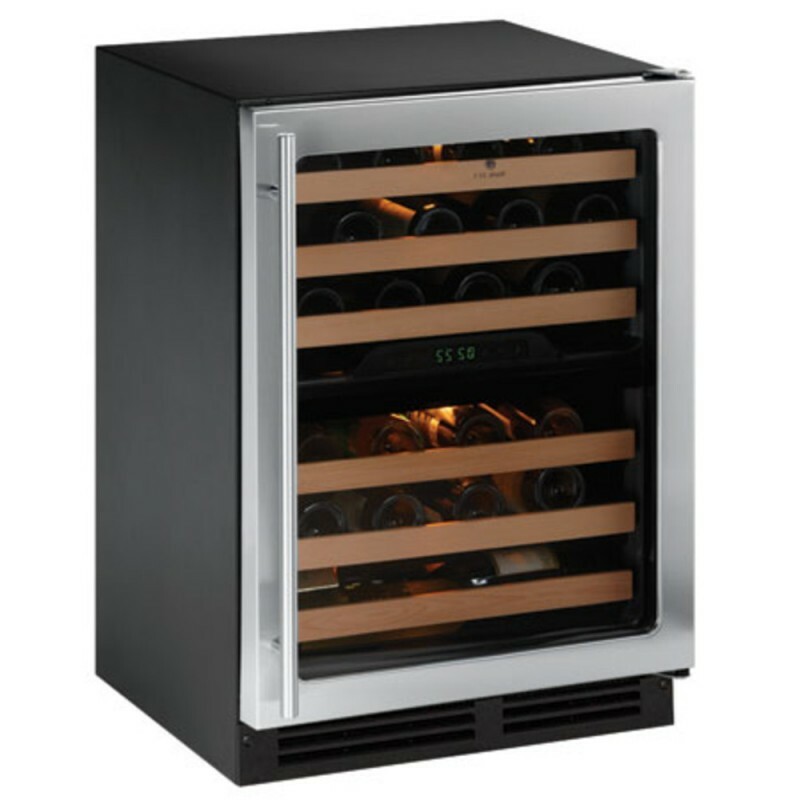 Designed to impress and inspire anyone with an interest in wine, a U-Line Wine Captain can provide cellar conditions for a small collection or offer additional storage for those with extensive collections.